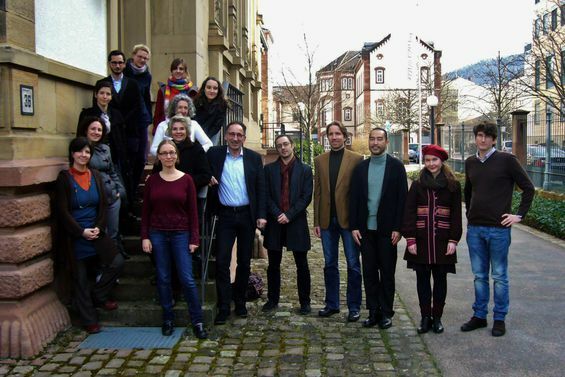 The interdisciplinary working group “Phenomenological Psychopathology and Psychotherapy“, led by Prof. Dr. med. Dr. phil. Thomas Fuchs explores the underlying structures of subjective experience and their alternations within mental illnesses using both theoretical as well as empirical methodologies. Psychologists, philosophers and psychologists herefore work together on common issues such as changes of the self experience, the corporeality or the intersubjectivity within mental illnesses. Fuchs, T., Iwer, L., Micali, S. (Eds.) (2017) Das überforderte Subjekt. Zeitdiagnosen einer beschleunigten Gesellschaft. Berlin: Suhrkamp. Call for Abstracts (Submissions until 08.07.2018): dt. und engl. Vespermann, D., Tewes, C., Fuchs, T. (Eds.) (2018) Phenomenological Anthropology, Psychiatry, and Psychotherapy in Theory and Practice. Special Issue Intercultural Philosophy. Philosophy in its Cultural Context 1: 3-167. Etzelmüller, G., Tewes, C. (Hrsg.) (2016). Embodiment in Evolution and Culture. Tübingen: Mohr Siebeck. Open Access. Micali, S., Fuchs, T. (Eds.) (2016). Angst. Philosophische, psychopathologische und psychoanalytische Zugänge. Freiburg: Karl Alber. Breyer, T., Fuchs, T., Holzhey-Kunz, A. (Eds.) (2015). Ludwig Binswanger und Erwin Straus. Beiträge zur psychiatrischen Phänomenologie. Freiburg: Alber. Stanghellini G., Fuchs, T. (2013) (Eds.) One Century of Karl Jaspers ‘General Psychopathology’. Oxford: Oxford University Press.